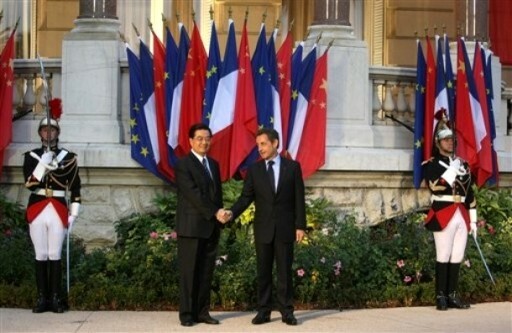 (KATAKAMI / VOA) French President Nicolas Sarkozy has confirmed that a French hostage was killed by al-Qaida’s branch in North Africa. President Sarkozy said Monday during a television broadcast he condemned the “barbarous act” against Michel Germaneau, a French aid worker. In an audio message broadcast Sunday on the Arabic network Al-Jazeera, a man identified as the leader of al-Qaida in the Islamic Maghreb said Germaneau was killed in retaliation for the death of six al-Qaida members during a raid last week in Mali. The al-Qaida leader said Mr. Sarkozy was unable to free Germaneau through a “failed” military operation. 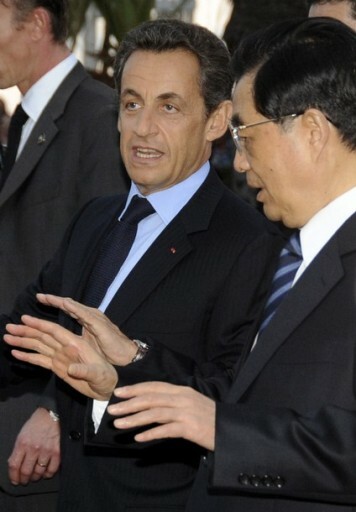 Mr. Sarkozy also urged French citizens to avoid traveling to Africa’s Sahel region. Al-Qaida in the Islamic Maghreb has carried out numerous attacks and kidnappings across the Sahara and Sahel regions. Germaneau, a 78-year-old engineer, was kidnapped with his Algerian driver near Niger’s border with Algeria and Mali in April. The driver was later released. Al-Qaida in the Islamic Maghreb had given France until Monday to arrange a prisoner exchange for Germaneau’s release. 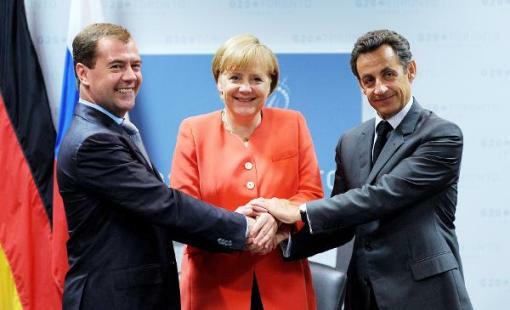 The group said in an Internet statement that Mr. Sarkozy would be responsible for Germaneau’s life. The terrorist group operates across a vast desert region that includes Algeria, Mali, Niger and Mauritania. (KATAKAMI / FRANCE24) French President Nicolas Sarkozy has condemned the “assassination” of Michel Germaneau, a French national kidnapped in Niger in April and held in Mauritania by Al Qaeda in the Islamic Maghreb, which claimed to have killed the 78-year-old aid worker in a televised statement on Sunday. (KATAKAMI / THEAGE.COM.AU) French President Nicolas Sarkozy convened a crisis meeting Monday after an Al-Qaeda affiliate in the Sahara said it had killed a 78-year-old French hostage to avenge a deadly but failed rescue raid. “We announce that we executed the French hostage Michel Germaneau on Saturday July 24, 2010, to avenge the killing of our six brothers in the cowardly French raid,” on Thursday, AQIM chief Abu Musab Abdul Wadud said. // “Sarkozy failed to free his compatriot in this operation but he has, without any doubt, opened for his people and for his country one of the gates of hell,” Wadud warned. The emergency meeting at 9:00 am would include Prime Minister Francois Fillon, Interior Minister Brice Hortefeux, Foreign Minister Bernard Kouchner and Defence Minister Herve Morin, the president’s office announced. The French presidency said it had received “no confirmation” of the killing of Germaneau, who was kidnapped in northern Niger on April 19, adding that it was trying to verify the claim. Germaneau’s Algerian driver, who was also abducted, was later released. He said the Frenchman was being held in a desert zone in Mali. Six members of AQIM, an offshoot of Osama bin Laden’s network, were killed in the operation, officials have said. Earlier on Sunday, Mali security sources expressed growing fears for Germaneau’s fate after the failed raid and the mayor of the Paris region where he lived said he believed the hostage’s chances of survival were slim. “Either Michel Germaneau has been executed, or the terrorists are about to do it,” Olivier Thomas, the mayor of Marcoussis, told AFP. France has said it had received no direct demands from Germaneau’s kidnappers but was taking their reported threat to kill him seriously. France had “consulted” Spain over Thursday’s operation, said a French defence ministry source. The raid had prompted “anxiety” in Madrid over how it might affect the Spanish hostages, according to Spanish media reports. 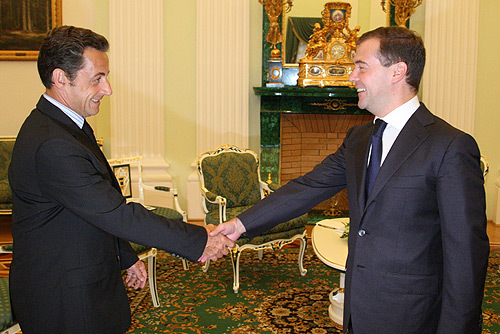 (KATAKAMI / KREMLIN.RU) Dmitry Medvedev sent a message of congratulations to President of France Nicolas Sarkozy on the French national holiday, Bastille Day. 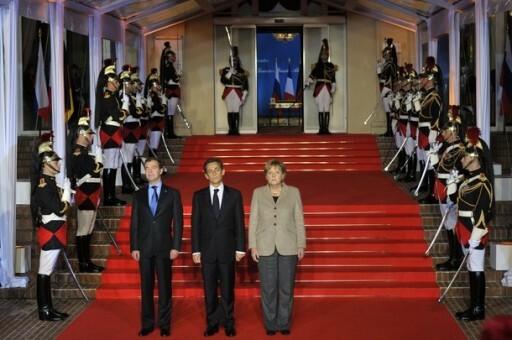 “Russia and France are working ever more fruitfully together in a broad range of areas today. The summits in Paris and St Petersburg were further evidence of the strategic nature of our relations and our mutual long-term commitment to implementing promising big projects aimed at ensuring our trade and economic partnership’s stable growth. We are also ready to continue building up our mutually advantageous business cooperation with an emphasis on advanced technology. We think the bilateral dialogue we pursue on coordinating our approaches to topical issues on the international agenda is very useful and important. I am sure that Russia and France, through their joint constructive efforts, can make a big contribution to settling regional conflicts and effectively addressing the global threats and challenges facing humanity in the twenty-first century. (KATAKAMI / GUARDIAN.CO.UK) Half a century ago, from the desert plains of Mauritania to the forests of Madagascar, a wave of independence movements swept across French-speaking Africa and saw the birth of new nations that hoped to free themselves forever from the yoke of colonialism. Tomorrow, as the centrepiece of Bastille Day celebrations dreamed up by Paris to mark the 50th anniversary of its farewell to empire, troops from 13 of those countries will march down the Champs Elysées alongside their French military counterparts. But instead of the dignified occasion the government had envisaged, the ceremony has been attacked as cynical and tactless by some observers who see it as an unseemly display of France’s continuing interference in Africa. Nicolas Sarkozy was forced to defend himself against accusations that, by emphasising France’s role in the events of 1960, he was indulging in an unpalatable form of “colonial nostalgia”. In keeping with this spirit of contrition, Sarkozy announced that France would raise the pensions of African veterans who fought under the tricolore in the 20th century to the same level as those of French nationals. The move, which will benefit thousands of former soldiers living overseas, had been expected since May, when the constitutional council ruled that the disparities between veterans of different nationalities living in the same country were unjust. 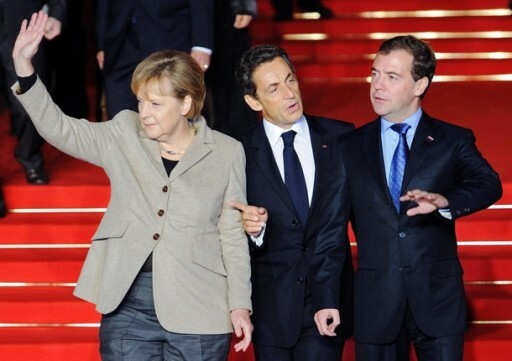 But, while Sarkozy might be hoping the gesture will dispel concerns about Wednesday’s unprecedented procession, he would be wrong. Objections have been made repeatedly in Africa and France. While Gbagbo’s snub was largely due to a mutual frostiness between the two countries over his postponement of elections, the comments nonetheless reflect the resentment of those in Africa who feel France should keep its distance. French critics, meanwhile, have focused their objections on what they say is the return to the bad old days of Paris’s meddling in the continent for its own cynical reasons.When he came to power, Sarkozy promised a break with the past policies of “Francafrique”, vowing a healthier relationship between the colonial-era master and its former subjects. Three years on, however, many critics say little has changed. The heads of state of 12 countries – Benin, Burkina Faso, Cameroon, Congo, Gabon, Mali, Mauritania, Niger, Central African Republic, Senegal, Chad and Togo – were welcomed today (TUES) at the Elysée Palace. Ivory Coast’s defence minister attended in place of Gbagbo, while the disputed leader of Madagascar, Andry Rajoelina, was not invited. Malagasy troops will, however, join the parade in Paris. (KATAKAMI / FRANCE24) The invitation of 12 leaders of former French colonies in Africa to a lunch at the Elysée Palace on the eve of the July 14 celebrations has led to accusations that France has failed to move on from its post-colonial relationship with the continent. The attendance of a dozen leaders of France’s former African colonies* at the Elysée Palace for lunch with French President Nicolas Sarkozy on the eve of the 14 July celebrations has disappointed progressives hoping for a change in France’s relationship with Africa. On July 14 itself, soldiers from these countries will march down the Champs Elysees in Paris for the traditional “Bastille Day” parade. The involvement of former colonies in France’s national day marks 50 years since they gained independence; Sarkozy insists that their participation has nothing to do with “colonial nostalgia”. Sarkozy has also announced that all former colonial combatants (about 30,000) who served France in past conflicts will receive pensions in line with their French counterparts, no matter where they live. However, the invitation is controversial and has been criticised as a return to a post-colonial relationship between France and its old African colonies – “La Françafrique” – that progressives hoped to have seen the back of. The exclusivity of the “Françafrique” approach, they argue, does little or nothing to encourage the development of democracy in these countries. French association “Survie” (Survival), which lobbies for the redrawing of the French-African relationship, said it was shocked by the lunch invitation, which spokesman Olivier Thimonier said harked back to the bad old days. (KATAKAMI / BBC) French President Nicolas Sarkozy has dismissed accusations he received illegal donations from the richest woman in France, Liliane Bettencourt. He called the allegations lies and calumny, and claimed his opponents were trying to destabilise the government as it tried to reform the pension system. 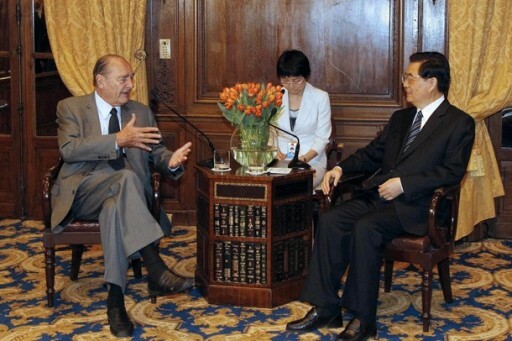 Mr Sarkozy also expressed confidence in Labour Minister Eric Woerth, who is accused of accepting illegal donations. 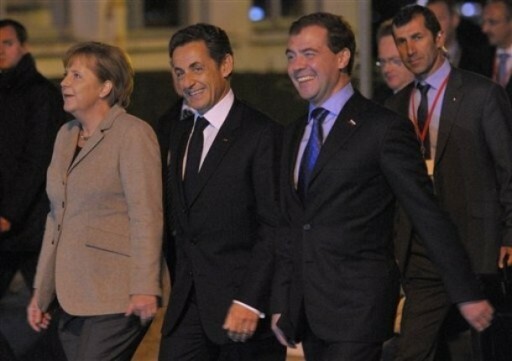 Both Mr Woerth and Mr Sarkozy deny any wrongdoing, as does Mrs Bettencourt. Tax inspectors have already cleared Mr Woerth, who was budget minister until March, of shielding the L’Oreal heiress from an audit. 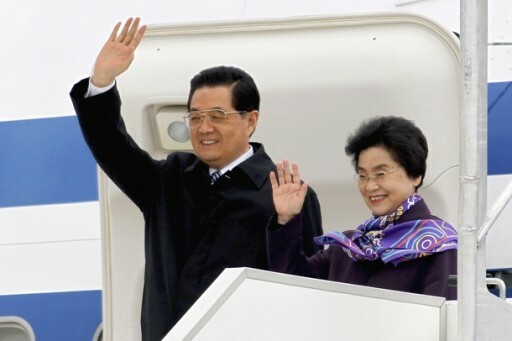 “Things are clear, and it is true that I am relieved, enormously relieved,” he told reporters earlier. BBC’s Hugh Schofield in Paris says President Sarkozy was at his most combative in the hour-long interview with France 2 television carried live from the Elysee Palace on Monday evening. He said the allegations were part of a “campaign” to blacken his name and make it harder to pass a contested pension reform plan that has already brought millions of protesters to the streets. “France is not a corrupt country,” he added. But the president said that to avoid any controversy, he had asked Mr Woerth to “devote himself exclusively” to the role and step down as UMP treasurer. He would also ask parliament to set up a commission to look at guidelines “to avoid all forms of conflict of interest”, he added. Mr Sarkozy said he was determined to see through the pension reforms – which include raising the state retirement age from 60 to 62 and making people contribute longer for a full pension – a key part of his government’s pledge to cut France’s budget deficit to within EU limits within the next three years. Socialist Party leader Martine Aubry said the president’s comments showed he was not aware of public anger at the scandal, the pension reforms, and at high unemployment and financial insecurity. The allegations surrounding Mr Sarkozy and Mr Woerth surfaced in connection with a trial over the estimated 17bn-euro fortune of Mrs Bettencourt, 87, whose father founded the cosmetics giant, L’Oreal. Mrs Bettencourt’s daughter Francoise is suing celebrity photographer Francois-Marie Banier, a close friend of her mother’s, for allegedly exploiting her mental fragility to gain access to her fortune. Mr Woerth has also come under scrutiny because his wife worked for the company that managed Mrs Bettencourt’s fortune, and their names emerged in tapes secretly recorded by Mrs Bettencourt’s butler. The tapes suggested that Mrs Bettencourt had been making cash donations to members of the UMP including Mr Woerth, and that she had been avoiding taxes. Mrs Bettencourt’s former accountant also accused the minister of accepting an illegal donation of 150,000 euros from her wealth manager, Patrice de Maistre. 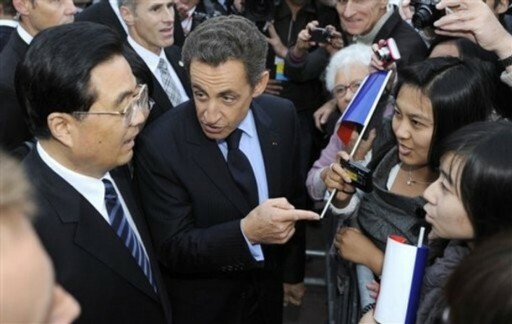 Hours before Mr Sarkozy spoke, police searched the Paris apartment of Ms Banier. (VOA) Seventy years to the day, Charles de Gaulle’s historic broadcast signaling the beginning of the French Resistance movement during World War II was remembered. On June 18, 1940, Mr. de Gaulle opened his microphone in London in a radio transmission sent to occupied France. 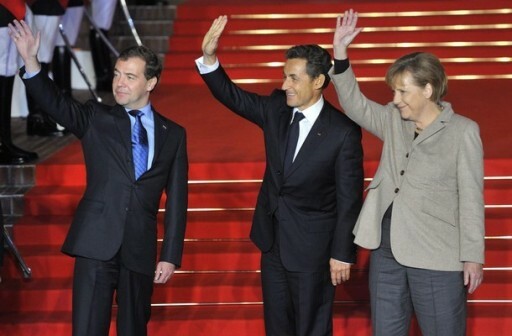 French President Nicolas Sarkozy traveled to Britain to mark the anniversary. History was remembered Friday at the building housing the radio headquarters of the BBC in central London. 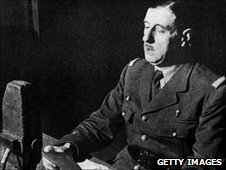 It was there, at Broadcasting House, on this date in 1940 that General de Gaulle fired an opening verbal salvo against the Nazis, when he urged his fellow countrymen and women to resist their German occupiers. Mr. De Gaulle had just escaped from France with some of his men, and they knew a long, difficult road lay ahead. Remembering those tough days, French President Sarkozy and his wife, Carla, visited the very studio where Mr. de Gaulle uttered his words. 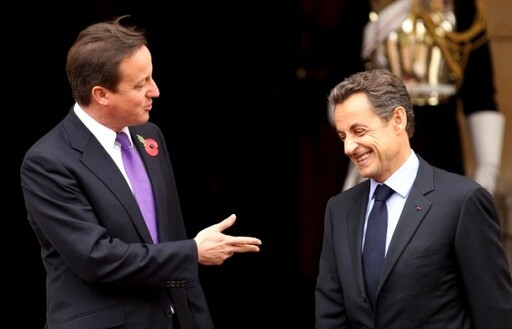 Mr. Sarkozy expressed his eternal gratitude to the British. The French president then moved on to a wreath-laying ceremony at the location where Mr. de Gaulle coordinated the resistance from his wartime offices. 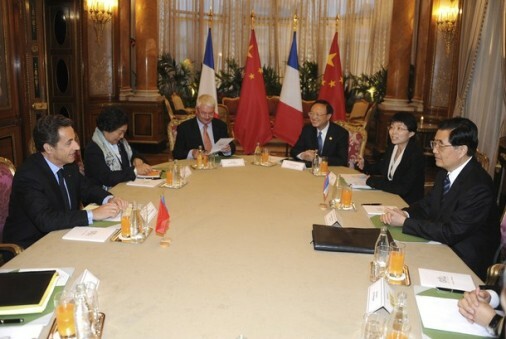 Mr. Sarkozy was joined by Prince Charles. 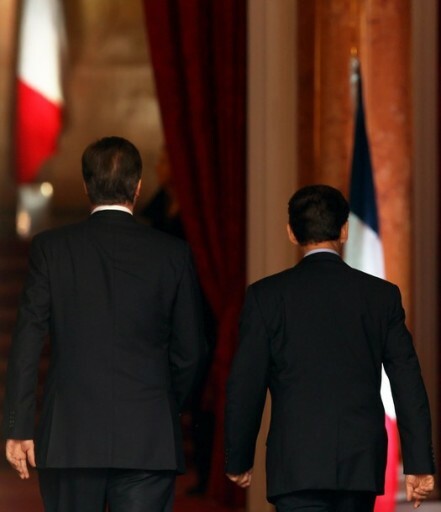 Mr. Sarkozy also held talks with Britain’s Prime Minister David Cameron, who said the general’s speech had everything to do with one word: hope. “Seventy years ago, when darkness was creeping across our continent, when the shadow of tyranny was stretching over France, a flame of hope was lit, not very far from here by General de Gaulle,” said Cameron. In addition to the sense of history, Mr. Sarkozy and Prime Minister Cameron also discussed the pressing issues of the day over lunch at 10 Downing Street, including shared priorities over defense and a unified approach to the tough economic climate. Lady Soames, daughter of Britain’s former Prime Minister Winston Churchill, France’s President Nicolas Sarkozy, Britan’s Prime Minister David Cameron, Sarkozy’s wife Carla Bruni-Sarkozy and David Cameron’s wife Samantha Cameron attend a ceremony during his visit to the Royal Hospital Chelsea on June 18, 2010, in London, England. (BBC) French President Nicolas Sarkozy has completed a visit to London marking the 70th anniversary of Charles de Gaulle’s defiant wartime broadcast. After visiting the BBC radio studio where the general urged France to resist the Nazis, he expressed “eternal gratitude” for Britain’s war effort. 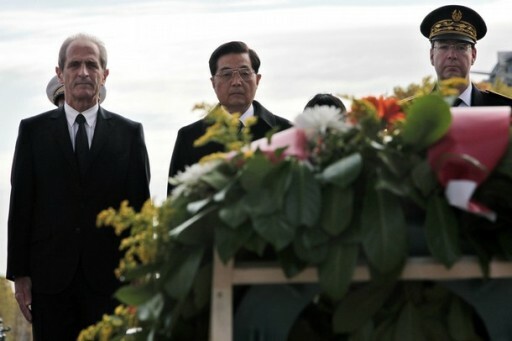 Mr Sarkozy and his wife Carla Bruni met the Prince of Wales to lay wreaths at Gen de Gaulle’s statue. 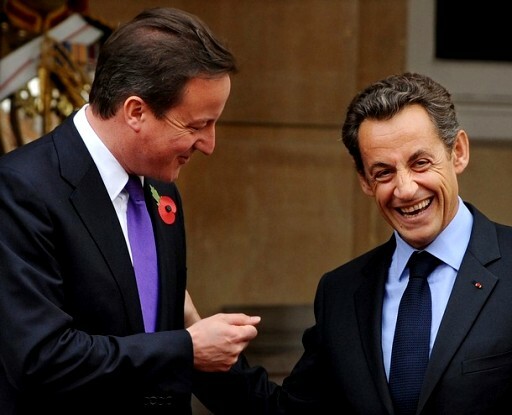 During a ceremony at the Royal Hospital Chelsea, Mr Sarkozy told them he brought the “brotherly greetings and eternal gratitude of the French people” who remembered what Britain had “accomplished… for our freedom”. He also awarded the Legion d’Honneur to six of the veterans – three of them British – who took part in the Operation Dragoon landings in Provence in August 1944. There was a buzz of excitement outside Broadcasting House as President Sarkozy and his wife Carla arrived at the BBC’s headquarters in Portland Place. Staff had been busy since dawn making final preparations for the French leader’s visit. Inside the Artists’ Lobby, the president was shown a wartime microphone and famous tapestry, La Poete, by Jean Lurcat. The Broadcasting House complex – under redevelopment – is a very different place to when Gen de Gaulle entered studio 4B on 18 June 1940. Few, however, are in any doubt that “L’Appel du 18 Juin” was a turning point in modern French history. Mr Cameron said the anniversary was a “reminder that Britain and France are not just neighbours in the geographical sense but also in the emotional sense”. He said he was committed to working with France to face “huge challenges”. “Just as our two great countries stood together in the past, so we must stand shoulder to shoulder today,” he said. The leaders’ arrival at the home of the Chelsea Pensioners was greeted with a flypast of a Spitfire, Typhoon and French Air Force Rafale. Troops from the Household Cavalry Mounted Detachment attended the hospital while bands played the two countries’ anthems. 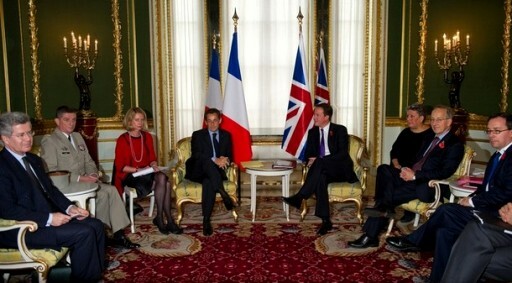 A student from the Charles de Gaulle school in London then read the general’s speech to Mr Sarkozy. More wreaths were then laid at Gen de Gaulle’s statue, near the headquarters of the Free French forces during the war. 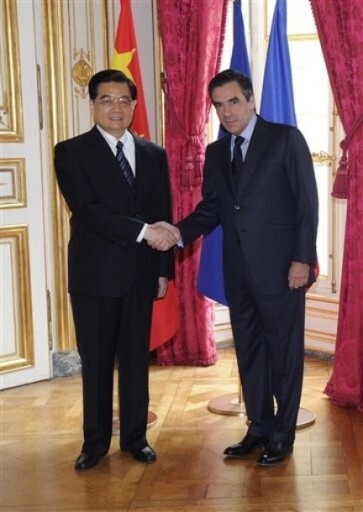 Mr Sarkozy’s visit was the first by a French president to mark Gen de Gaulle’s broadcast on 18 June 1940. In the stirring radio appeal Gen de Gaulle declared himself leader of the “Free French”, spawning the French Resistance, which went on to play a crucial role in defeating the Germans. He told his nation that “the flame of the French resistance must not and will not be extinguished”. Gen de Gaulle was given a hero’s welcome after the liberation of Paris in August 1944, but historians point out that he was not seen as a saviour in 1940. LONDON, ENGLAND – JUNE 18: French President Nicolas Sarkozy and his wife Carla Bruni-Sarkozy are kissed goodbye by Prime Minister David Cameron and his wife Samantha on the steps of Downing Street on June 18, 2010 in London, England. President Sarkozy and his wife are visiting London for the day to commemorate President de Gaulle’s famous wartime broadcast to Nazi occupied France. De Gaulle fled France on June 17, 1940 and in his broadcast the next day he declared himself leader of the ‘Free French’, leading to the formation of the French Resistance movement which went on to play a vital role in defeating the Germans. British Prime Minister David Cameron (2nd L), and his wife Samantha (R) greet French President Nicolas Sarkozy (2nd R) and his wife Carla Bruni-Sarkozy on the steps of 10 Downing Street in central London on June 18, 2010. Sarkozy and World War II veterans visited London Friday to mark the 70th anniversary of Charles de Gaulle’s rousing radio appeal to his compatriots to resist the Nazi occupation. On June 18, 1940, four days after the fall of Paris and as the French government prepared to sign an armistice with Germany, the exiled military leader issued an impassioned appeal over the BBC airwaves to those back home. LONDON, ENGLAND – JUNE 18: French President Nicolas Sarkozy (2R) and his wife Carla Bruni-Sarkozy (L) sit with Prime Minister David Cameron (2L) and his wife Samantha Cameron (R) inside Number 10 Downing Street on June 18, 2010 in London, England. President Sarkozy and his wife are visiting London for the day to commemorate President de Gaulle’s famous wartime broadcast to Nazi occupied France. De Gaulle fled France on June 17, 1940 and in his broadcast the next day he declared himself leader of the ‘Free French’, leading to the formation of the French Resistance movement which went on to play a vital role in defeating the Germans. French First Lady, Carla Bruni-Sarkozy (L), and her husband, French President Nicolas Sarkozy (2nd L), share a light moment with British Prime Minister David Cameron (R) and his wife Samantha during a parade at The Royal Hospital Chelsea, in London June 18, 2010. Sarkozy and World War II veterans visited London Friday to mark the 70th anniversary of Charles de Gaulle’s rousing radio appeal to his compatriots to resist the Nazi occupation. On June 18, 1940, four days after the fall of Paris and as the French government prepared to sign an armistice with Germany, the exiled military leader issued an impassioned appeal over the BBC airwaves to those back home. Britain’s Prime Minister David Cameron (L) embraces French President Nicolas Sarkozy in between speeches at The Royal Hospital Chelsea in London June 18, 2010. Sarkozy and World War II veterans visited London Friday to mark the 70th anniversary of Charles de Gaulle’s rousing radio appeal to his compatriots to resist the Nazi occupation. On June 18, 1940, four days after the fall of Paris and as the French government prepared to sign an armistice with Germany, the exiled military leader issued an impassioned appeal over the BBC airwaves to those back home. LONDON, ENGLAND – JUNE 18: British Prime Minister David Cameron (L) and French President Nicolas Sarkozy listen to the national anthems during a parade at The Royal Hospital Cheslea on June 18, 2010, in London, England. Sarkozy and his wife are visiting London for the day to commemorate President de Gaulle’s famous wartime broadcast to Nazi occupied France. De Gaulle fled France on June 17, 1940 and in his broadcast the next day he declared himself leader of the ‘Free French’, leading to the formation of the French Resistance Movement which went on to play a vital role in defeating the Germans. Britain’s Prime Minister David Cameron (C) embraces French President Nicolas Sarkozy in between speeches at The Royal Hospital Chelsea in London June 18, 2010. Sarkozy and World War II veterans visited London Friday to mark the 70th anniversary of Charles de Gaulle’s rousing radio appeal to his compatriots to resist the Nazi occupation. On June 18, 1940, four days after the fall of Paris and as the French government prepared to sign an armistice with Germany, the exiled military leader issued an impassioned appeal over the BBC airwaves to those back home. LONDON, ENGLAND – JUNE 18: (L-R) Lady Soames, daughter of Britain’s former Prime Minister Winston Churchill, France’s President Nicolas Sarkozy, Britan’s Prime Minister David Cameron, Sarkozy’s wife Carla Bruni-Sarkozy and David Cameron’s wife Samantha Cameron attend a ceremony during his visit to the Royal Hospital Chelsea on June 18, 2010, in London, England. Sarkozy and his wife are visiting London for the day to commemorate President de Gaulle’s famous wartime broadcast to Nazi occupied France. De Gaulle fled France on June 17, 1940 and in his broadcast the next day he declared himself leader of the ‘Free French’, leading to the formation of the French Resistance Movement which went on to play a vital role in defeating the Germans. LONDON, ENGLAND – JUNE 18: France’s President Nicolas Sarkozy, (2R), and Britain’s Prime Minister David Cameron, (R) meet attendees of a ceremony during their visit to the Royal Hospital Chelsea on June 18, 2010 in London, England. Sarkozy and his wife are visiting London for the day to commemorate President de Gaulle’s famous wartime broadcast to Nazi occupied France. De Gaulle fled France on June 17, 1940 and in his broadcast the next day he declared himself leader of the ‘Free French’, leading to the formation of the French Resistance Movement which went on to play a vital role in defeating the Germans. LONDON – JUNE 18: (L-R) British Prime Minister David Cameron and French President Nicolas Sarkozy talk with Legion de Honeur recipients and World War II veterans Walter Freegard, Glynne Medlicott, and Alex Sutton during a parade at the Royal Chelsea Hospital on June 18, 2010 in London, England. French President Nicolas Sarkozy and his wife Carla Bruni-Sarkozy are visiting London for the day to commemorate President Charles de Gaulle’s famous wartime broadcast to Nazi-occupied France. De Gaulle fled France on June 17, 1940 and in his broadcast the next day he declared himself leader of the ‘Free French’, leading to the formation of the French Resistance Movement, which went on to play a vital role in defeating the Germans. LONDON – JUNE 18: Samantha Cameron, wife of British Prime Minister David Cameron (L) greets Carla Bruni-Sarkozy, wife of President Nicolas Sarkozy at the Royal Chelsea Hospital on June 18, June 2010 in London, England. French President Sarkozy and his wife Carla Bruni-Sarkozy are visiting London for the day to commemorate President de Gaulle’s famous wartime broadcast to Nazi occupied France. De Gaulle fled France on June 17, 1940 and in his broadcast the next day he declared himself leader of the ‘Free French’, leading to the formation of the French Resistance Movement which went on to play a vital role in defeating the Germans. LONDON – JUNE 18: Samantha Cameron (L), wife of British Prime Minister David Cameron, greets Carla Bruni-Sarkozy, wife of President Nicolas Sarkozy at the Royal Chelsea Hospital on June 18, 2010 in London, England. French President Sarkozy and his wife Carla Bruni-Sarkozy are visiting London for the day to commemorate President Charles de Gaulle’s famous wartime broadcast to Nazi-occupied France. De Gaulle fled France on June 17, 1940 and in his broadcast the next day he declared himself leader of the ‘Free French’, leading to the formation of the French Resistance Movement, which went on to play a vital role in defeating the Germans. LONDON, ENGLAND – JUNE 18: President of the French Republic, Nicolas Sarkozy and HRH Prince Charles, Prince of Wales lay wreaths at the statue of Charles De Gaulle on June 18, 2010 in London, England. Sarkozy and his wife are visiting London for the day to commemorate pesident de Gaulle’s famous wartime broadcast to Nazi occupied France. De Gaulle fled France on June 17, 1940 and in his broadcast the next day he declared himself leader of the ‘Free French’, leading to the formation of the French Resistance Movement which went on to play a vital role in defeating the Germans. Britain’s Prince Charles, center, greets the French President Nicolas Sarkozy, and his wife Carla Bruni-Sarkozy at Clarence House in London Friday, June, 18, 2010. Clarence House is the London home of Prince Charles. Britain’s Prince Charles, second right, greets the French President Nicolas Sarkozy, second left, and his wife Carla Bruni-Sarkozy at Clarence House in London Friday, June, 18, 2010. Clarence House is the London home of Prince Charles. LONDON, ENGLAND – JUNE 18: French President Nicolas Sarkozy (L) and his wife Carla Bruni-Sarkozy (C) walk to a statue of General Charles De Gaulle with HRH Prince Charles (R) after laying a wreath at the statues of King George VI and Queen Elizabeth on June 18, 2010 in London, England. President Sarkozy and his wife are visiting London for the day to commemorate President de Gaulle’s famous wartime broadcast to Nazi occupied France. De Gaulle fled France on June 17, 1940 and in his broadcast the next day he declared himself leader of the ‘Free French’, leading to the formation of the French Resistance movement which went on to play a vital role in defeating the Germans. LONDON, ENGLAND – JUNE 18: Carla Bruni-Sarkozy (2R) and her husband, French President Nicolas Sarkozy and Prince Charles, Prince of Wales look at photographs of French President Charles De Gaulle during a visit to the former headquarters of the ‘Free French’, at Carlton Gardens on June 18, 2010 in London, England. Sarkozy and his wife are visiting London for the day to commemorate President de Gaulle’s famous wartime broadcast to Nazi occupied France. De Gaulle fled France on June 17, 1940 and in his broadcast the next day he declared himself leader of the ‘Free French’, leading to the formation of the French Resistance Movement which went on to play a vital role in defeating the Germans. French President Nicolas Sarkozy (L), his wife Carla Bruni-Sarkozy (2nd R) and Britain’s Prince Charles (R) look at photographs of French President Charles De Gaulle during a visit to the former headquarters of the Free French, at Carlton Gardens in central London on June 18, 2010. Sarkozy and World War II veterans visited London Friday to mark the 70th anniversary of Charles de Gaulle’s rousing radio appeal to his compatriots to resist the Nazi occupation. On June 18, 1940, four days after the fall of Paris and as the French government prepared to sign an armistice with Germany, the exiled military leader issued an impassioned appeal over the BBC airwaves to those back home. French President Nicolas Sarkozy, left, his wife Carla Bruni-Sarkozy, second right, and Britain’s Prince Charles, right, look at photographs of French President Charles De Gaulle during a visit to London headquarters of the Free French, the fighters led by de Gaulle, who rejected their country’s surrender to Nazi Germany, on Friday June 18, 2010. Sarkozy marked the 70th anniversary of Charles de Gaulle’s defiant World War II broadcast from London on Friday, visiting the studio where the leader urged his compatriots to resist the German occupation. LONDON, ENGLAND – JUNE 18: French President Nicolas Sarkozy (Centre Left) and HRH Prince Charles (Centre Right) prepare to lay a wreath at the statues of HM King George VI and HM Queen Elizabeth on June 18, 2010 in London, England. President Sarkozy and his wife are visiting London for the day to commemorate President de Gaulle’s famous wartime broadcast to Nazi occupied France. De Gaulle fled France on June 17, 1940 and in his broadcast the next day he declared himself leader of the ‘Free French’, leading to the formation of the French Resistance movement which went on to play a vital role in defeating the Germans.